SUSTAPLEX 325 is an oil-based injectable testosterone blend that contains five different testosterone esters: 30mg Testosterone acetate, 50mg Testosterone propionate, 50mg Testosterone phenylpropionate, 90mg Testosterone cypionate and 105mg Testosterone decanoate. 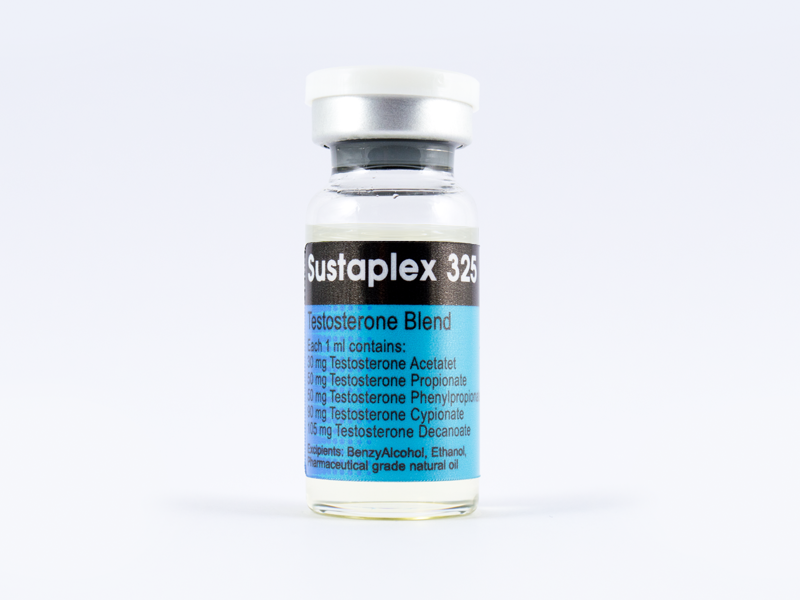 SUSTAPLEX 325 is designed to provide a fast yet extended release of testosterone, usually requiring injections once every 3 to 4 weeks in a clinical setting. This is an improvement from standard testosterones such as cypionate or enanthate, which provide a shorter duration of activity. As with all testosterone products, SUSTAPLEX 325 is a very strong anabolic drug with pronounced androgenic activity. It is most commonly used in bulking cycles, providing exceptional gains in strength and muscle mass.